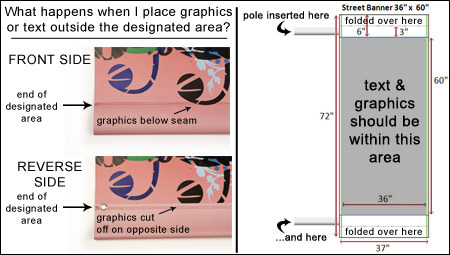 *As the banner is double-sided and must be folded over and sewn to create a pocket for sliding onto a pole bracket, we recommend placing any images or text within the 60"h guides in the center of the template. If images or text extends past this area, it will be covered by the sewn pocket on the reverse side. To view this page properly, Java scripts must be enabled.